SSH seeks to improve performance and reduce errors in patient care through the use of simulation. Established in 2004 by professionals using simulation for education, testing, and research in healthcare, SSH membership includes physicians, nurses, allied health and paramedical personnel, researchers, educators and developers from around the globe. 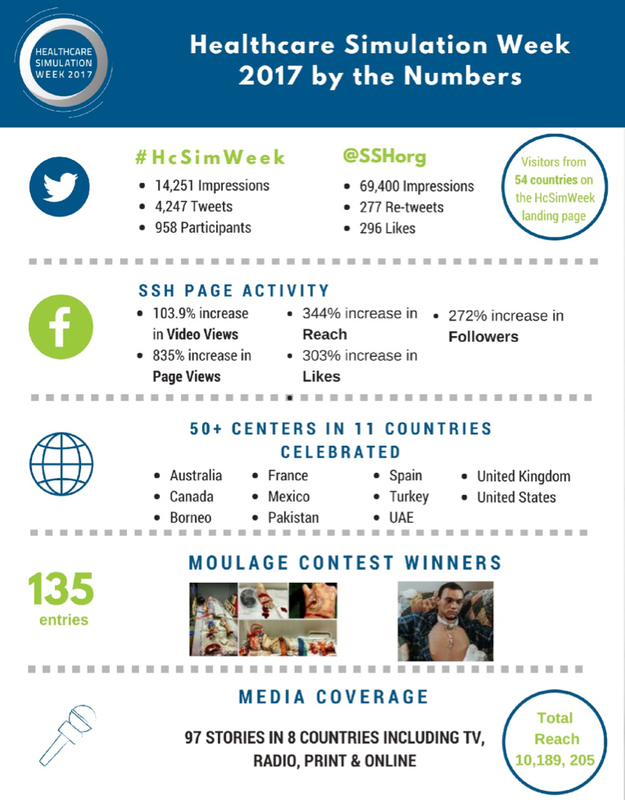 In 2017, the SSH board launched the inaugural Healthcare Simulation Week, which celebrates global professionals who use simulation to improve the safety, effectiveness, and efficiency of healthcare delivery. The celebration took place September 11-15 and featured Facebook Live presentations and 360-degree tours of simulation centers; a moulage contest; open access to the organization’s journal; a Twitter chat; articles of the day; and a special discount for new members.